So, it’s time to compare before and after; to look back at my pre-Essen itinerary and see how many of the games I managed to get played – and how they were. Were my pre-Essen instincts sharp, or shambolic? What did I get played from my pre-Essen ‘top 10’ wishlist? Between Essen and a London on Board trip to Eastbourne a week after my return, I’ve managed to get more than 20 Essen releases played – not bad. And that included seven of my pre-Essen top 10 ‘want to play’ list. I unfortunately managed to miss out on Red 7 (sold out – but I could’ve got a copy if I’d remembered. Grrrr), Progress: Evolution of Technology (was always packed – want to try it) and Versailles (overheard a rules explanation and watched a bit of play, but wasn’t inspired – I’d still like to get a play). Johari and El Gaucho featured in my ‘Biggest hits of Essen‘ report – while sadly Imperial Settlers, Amber Route and Madame Ching all featured in the ‘misses’ section of the same post – so I won’t go over that ground again here. Which leaves two. If I was a lot newer to gaming, or didn’t have many gateway games, I probably would’ve come home with a copy of Mangrovia. 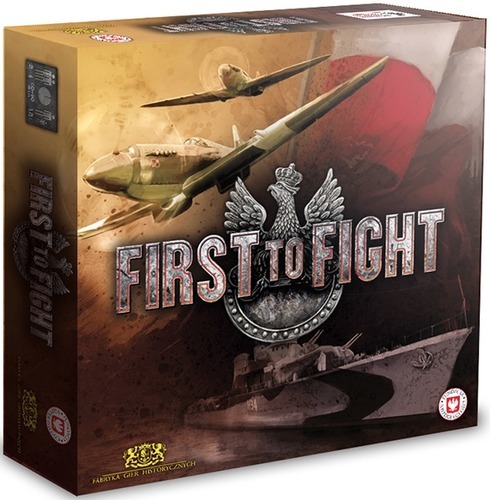 It’s a really pretty and well designed light euro game with an interesting turn order/action selection mechanism – but not enough else to make it stand out for more experienced gamers. But I did pick up First to Fight after a fun demo with one of the design team and one of his friends. My initial concern was, will it work? And if I’m honest after two plays I’m still not 100% sure. But I’ve seen enough so far, and had enough fun, to warrant it having been my one slightly risky buy. What did I purchase from my ‘will purchase’ list? I had six games and four expansions on my ‘will purchase’ list, and managed to come home with all but two of them. Sadly Pocket Imperium didn’t make it to Essen, while I was only going to buy Bakerspeed as a set with Paititi if they had a deal on – which they didn’t, so I stuck with just getting the latter (I’ve downloaded the English rules but not yet played it). Romans Go Home and Sail to India were games I’d played before and wanted my own copy of. Both came home with me, and both were better than expected for different reasons: Sail to India was free (thanks AEG! 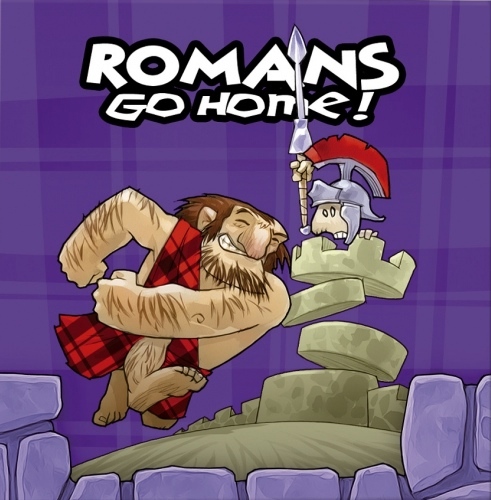 ), while the new rules and art for Romans Go Home made it even better than the version I’d played previously. Again, Steam Donkey featured in my ‘biggest hits’ post linked above. The expansions for CV, Can’t Stop, Snowdonia and Stone Age all made it into the suitcase too, but none of them have been played yet – too many hot new releases to get through first! But as they add to four of my favourite games it’s only a matter of time before they hit the table (although I helped test the Snowdonia one, so I’ve played it really). Did any ‘also rans’ turn out to be winners? I mention a raft of other games at the bottom of my Essen preview post, which turned out to be a right mixed bag. 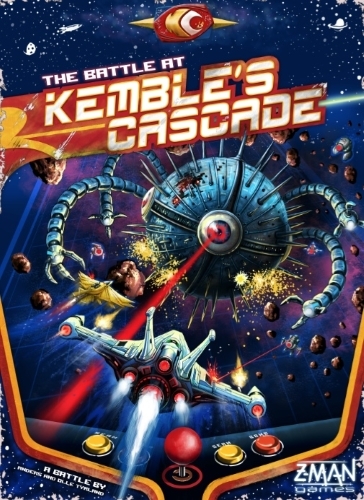 Unfortunately I managed to totally miss The Battle at Kemble’s Cascade, League of Hackers, Ucho Krola and The Golden Ages but had more luck tracking down the rest. Having had a rules run-through or watched demos of Planes, Essen 2013 the Game and Onward to Venus I didn’t pursue them any further; none of them seemed like my kind of games and with limited time I set my sites elsewhere. I also ignored La Isla as I know several people who bought it; hopefully I’ll get a game in soon. The big pluses from this list were Deus and Ancient Terrible Things – but without wanting to sound like a broken record, may I refer the honourable gentlefolk to the ‘core blimey Charlie weren’t they marvellous’ post linked above. The latter I picked up at the show, the former will be mine by Christmas or I may blub like a baby. Office 21 is actually pretty charming and if I didn’t already have Love Letter in the ‘five minutes of nonsense’ category I’d probably grab a copy. The choices seem a little more involved – you have three cards instead of two, for a start, with no cards that force you to do anything. But at the same time the right move is usually pretty obvious – and games can be brutally, ridiculously short and scripted (but in a funny way). Which just leaves The Castles of Mad King Ludwig – the game I’ve been most on the fence about from this year’s crop of releases. One thing’s for certain – it’s a good game. The rules are simple, the puzzley aspects engaging and it seems well balanced. It doesn’t outstay its welcome, has plenty of variety and keeps you guessing to the end. And I won my first play – and I’d play again. So why don’t I like it? Personally, my problem with Ludwig lies in the one interactive element of the game. If you’re start player (which changes clockwise each turn), you get to draw some random tiles and place them in an order of your choosing – going up gradually in cost, with you getting all the profit from the round when other player’s buy things. It’s important to say here that the game needs this kind of element – otherwise it would be a totally heads-down solo experience. However, the final result just doesn’t work for me. First, I didn’t enjoy making these decisions when they came to me. Second, I felt that poor decisions by other players probably led to my victory – putting tiles in cheap spots that gave me easy points. This didn’t feel satisfying, but is certainly a personal opinion – many enjoyed it and I’d certainly recommend people to play it and make their own minds up. This entry was posted in Board games, Games, Travel and tagged board games, card game, card games, Castles of Mad King Ludwig, Essen, Essen 2014, Essen Spiel, favourite games, Top 10 games by Chris Marling. Bookmark the permalink.